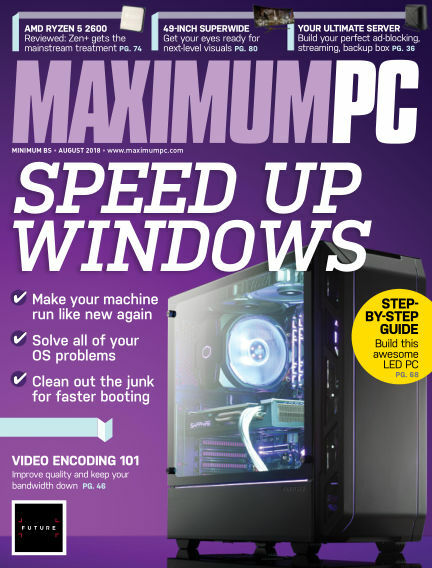 In this issue of Maximum PC : Maximum PC is the magazine that every computer geek, PC gamer, or content creator should read every month. Each and every issue is packed with punishing product reviews, thorough how-to articles, and the illuminating technical news and information that PC power users crave. Maximum PC covers every single topic that requires a lightning-fast PC, from video editing and music creation to PC gaming; we write about it all with unbounded enthusiasm for our collective hobby. With Readly you can read Maximum PC (issue Aug 2018) and thousands of other magazines on your tablet and smartphone. Get access to all with just one subscription. New releases and back issues – all included.